Toronto, ON – The Ontario Hockey League today announced the twelfth edition of the weekly minor midget rankings for the 2017 OHL Cup Showcase Tournament powered by Under Armour and hosted by the Greater Toronto Hockey League. The weekly rankings are determined by a panel of OHL Central Scouting Staff and represent the top teams that are competing to play in the annual year-end championship tournament which takes place March 14-20, 2017. All games will be played at the Scotiabank Pond in Toronto until the Championship Final moves to the Mattamy Athletic Centre on Monday March 20. 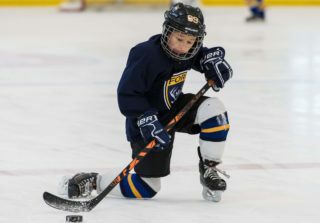 Four OMHA clubs have officially qualified for tournament entry following the league’s championship weekend where the host Whitby Wildcats emerged victorious earning gold over the Brampton 45’s. 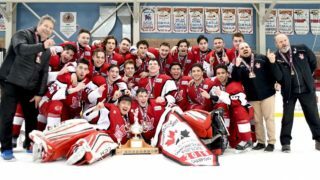 The Quinte Red Devils claimed tournament bronze over the fourth place Ajax-Pickering Raiders, while the Grey-Bruce Highlanders finished fifth and will compete for tournament entry in one of four Wild Card Play-In Games. The Waterloo Wolves also secured a berth for OHL Cup action advancing to the ALLIANCE finals defeating the Kitchener Jr. Rangers in a thrilling 9-7 series win in points. Waterloo is currently battling the top ranked London Jr. Knights for the league championship, with Kitchener competing against fellow ALLIANCE semi-finalist Cambridge Hawks in a four-point series to determine the league’s third official entry. The fourth place club will compete in a Wild Card Play-In Game. 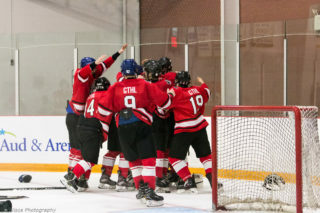 The GTHL’s Mississauga Reps and Toronto Titans have also secured a position in the Wild Card Play-In Games by winning their Wild Card Series matchups 8-6 in points over the Mississauga Senators and Toronto Young Nationals respectively. 16 of the 20 spots in the 2017 OHL Cup powered by Under Armour are guaranteed through league competition. The 16 guaranteed spots continue to include all four GTHL Semi-Finalists, and the top four teams that place at the OMHA Championship. Three teams from the ALLIANCE will still be guaranteed a spot in the tournament including the Champion and Finalist, along with the winner of a best-of-three Semi-Final Wild Card Series to be played between the losers of the two league Semi-Finals. Also as in past years, two tournament entries are reserved for United States competition, while both an HNO and NOHA representative will also compete. New in 2017, the final guaranteed spot is awarded to HEO but represented by their previous year Bantam Championship team who will be reassembled for tournament competition. This season, HEO’s entry will be members of the 2016 Bantam Champion Eastern Ontario Wild. 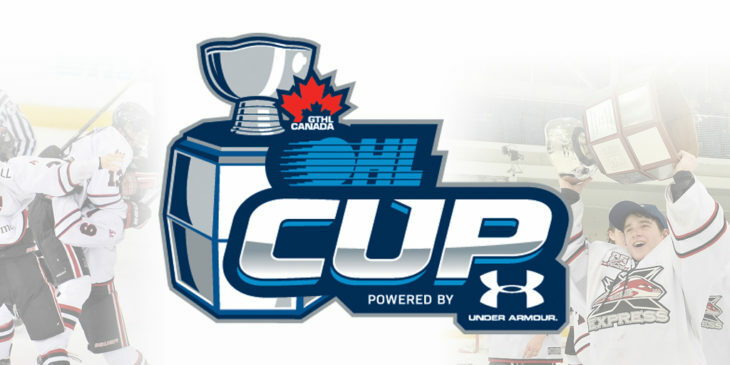 The final four entries at the 2017 OHL Cup powered by Under Armour will be Wild Cards determined among eight teams that will play a one game ‘win and in’ scenario. 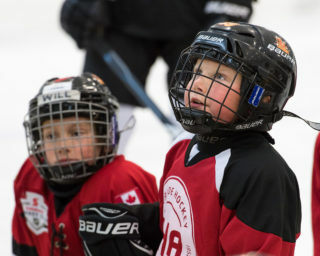 The eight competing teams aiming for the final four tournament spots will continue to include the fifth place team at the OMHA Championship, and the loser of the ALLIANCE Semi-Final Wild Card Series. As introduced in 2016, two spots in Wild Card games will be reserved for GTHL teams. 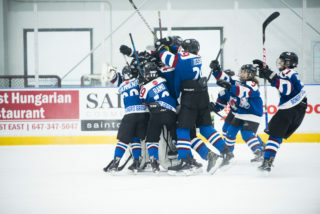 The two competing GTHL teams will be determined through a pair of Wild Card Play-In Series matchups involving the four GTHL teams who qualified for the playoffs but lost in the first round. One spot in a Wild Card will also be reserved for the winner of an OMHA SCTA Consolation Game that features both teams who lost in the SCTA Tournament Semi-Final. The OMHA teams eligible for this matchup will be determined annually based on the league not hosting the OMHA Championship. Finally, the three remaining teams who will compete in the Wild Card matchups will be named by the Tournament Selection Committee. The Committee will evaluate and review a team’s post-season success as the first criteria for selection, with additional criteria to include regular season play and tournament play. All four Wild Card games will take place on Tuesday March 14 with specific matchups and times of play to be determined by random draw among the eight competing teams on Tuesday March 7. The 2016 OHL Priority Selection featured 12 players chosen in the first round who competed in the OHL Cup including Ryan Merkley (Toronto Jr. Canadiens – 1st overall Guelph Storm), Owen Lalonde (Windsor Jr. Spitfires – 2nd overall Sudbury Wolves), Danil Antropov (Toronto Marlboros – 6th overall Oshawa Generals), Kirill Nizhnikov (Toronto Jr. Canadiens – 7th overall Mississauga Steelheads), Barrett Hayton (Toronto Red Wings – 9th overall Sault Ste. 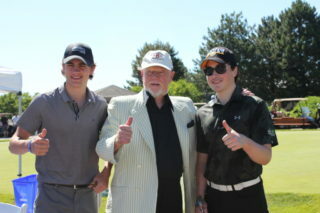 Marie Greyhounds), Peter Stratis (Mississauga Rebels – 11th overall Ottawa 67’s), Akil Thomas (Toronto Marlboros – 12thoverall Niagara IceDogs), Adam McMaster (Niagara North – 13th overall North Bay Battalion), Tyler Weiss (Don Mills Flyers – 15th overall Sarnia Sting), Nathan Dunkley (Quinte Red Devils – 17thoverall Kingston Frontenacs), Allan McShane (Toronto Marlboros – 19th overall Erie Otters), and Jack McBain (Don Mills Flyers – 20th overall Barrie Colts).